A perfect companion on your next mission. 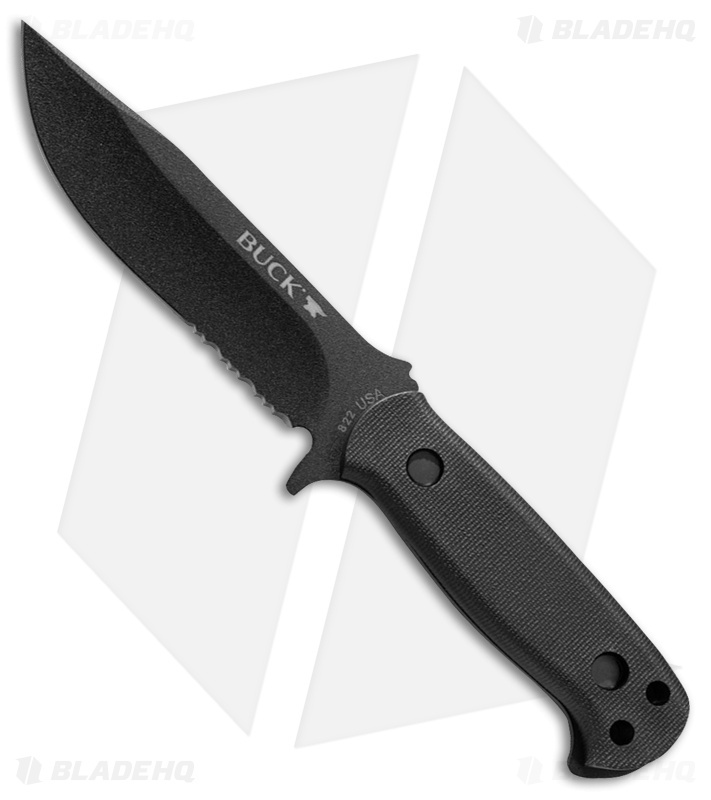 The Sentry by Buck is a no nonsense tactical fixed blade you can rely on! A 5" serrated 420HC steel blade with Buck's black traction coating provides plenty of utility, whether you're piercing, slicing or cutting through tough rope or cordage. Comfortable black polymer handles allow the user a secure grip with the added security/safety of an integrated finger guard. A fully MOLLE compatible nylon belt sheath allows for attaching to a pack, chest rig or belt carry.